The hype cycle for gamification is coming to its best conclusion: We’re off the peak of inflated expectations, and Salesforce is a ripe environment for growing your gamification clout. 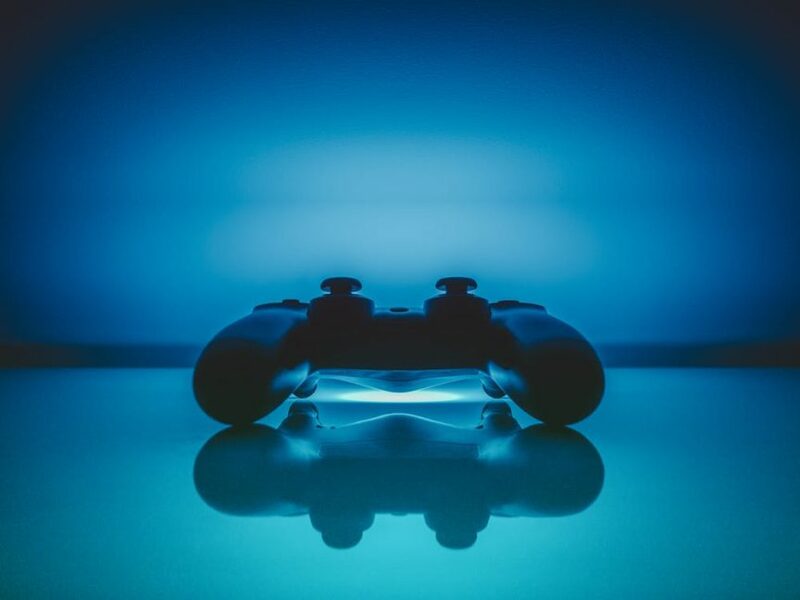 The gaming industry has moved into the mainstream and a remarkable number of people are happily “achievement hunting” via mobile devices, computers and gaming systems. Gamification is going to be a major contributor when it comes to employee satisfaction and customer loyalty in the years to come. Is your organization offering a competitive gaming incentive? The value of the video game industry was a whopping $18.4 billion in 2018, and is estimated to eclipse $20 billion in 2020. More than 150 million Americans play video games, with 60% playing daily, and the average gamer age is around 34. Based on this modern day profile, it’s safe to say that gamers are definitely part of your workforce. Some may be easy to spot, sporting their favorite video game T-shirt and gaming headphones, while others may peck away unsuspectingly on a mobile game while walking the street, riding the subway or taking a break at their desk. Regardless of visible gaming pride, there is something driving the majority of working Americans to pick up and enjoy video games. I believe that a large part is due to the goal-oriented mindset of American culture, and our desire to achieve. Videogames fill a void that allows us to be successful in a virtual environment with fantastic landscapes and settings. For some gamers, the success is taking a moment to sit down and discover new things in a giant open world environment. Others take achievement gaming seriously. They play for prestige and delight in setting individual records and accomplishing feats that take months to master. Further still, an entire industry has been created specifically for eSports, or entertainment sports, with prize pools for popular games reaching seven-figures. Perpetuating this rapid expansion is a gaming culture on the rise. For many recent graduates entering the workforce, video games are ingrained in them. As a 29-year-old on the outer limits of millennial status, I will admit to growing up in a home that always had the latest and greatest gaming system. It was usually located in my room. Ok, you may have gathered this, but, I’m a bit of a nerd. Which is how I know the vast and varied differences between the platforms of the past, and the games of today; but none more prominent than the fact that people build part of their identity based on achievements and trophies. And that is where business can use these platforms with both employees and customers. There is an entire gaming subculture dedicated to achievement and trophy hunting, completing games to 100%. Some require a huge time investment as gamers spend hours searching for clues, testing theories and unlocking next stages. Others require an immense level of skill to complete. In addition to accomplishment and attainment, there are also development cycles that focus on providing pleasing aesthetics and sounds when gamers succeed  to illicit a pleasurable dopamine response. The neurological reward keeps players engaged, while creating a sense of accomplishment they come to crave. The craving to achieve has now been set to the tone of job responsibilities, sales goals, quarter quotas, badges, check-ins, reviews and more business-related gaming. As you probably know, gamification is not a new concept in the world of business. Gartner predicted gamification would reach mainstream adoption in five to 10 years, but due to the limitations growth was stunted and gamification struggled to find popularity in the Salesforce ecosystem. However, advances in innovation, heightened engagement and demand, and increased access are taking business-related gamification to the next level. Now that gaming has become part of the mainstream culture, and is no longer just the pastime of a few hobbyists and counter-culture enthusiasts, cloud-based giants, like Salesforce, have the opportunity to elevate your business. Salesforce created, arguably, the most impressive gamified learning management system to date in Trailhead, a gamified way to learn Salesforce for employees. Since then, Salesforce has added well over 150 new features to an all-new user experience called, Lightning. With a mobile-first interface, three automatic upgrades a year and integration with Outlook and Office 365, Salesforce is now recommending everyone transition to Lightning, the future of Salesforce. The Lightning Design System allows for the creation of Lightning Components. These amazing little pieces of code let you create extensible and bespoke user experience elements. Within the Lightning framework, the user interface is highly customizable. You and your consulting partner can enable the Lightning interface to do things like play sounds or display pop-up information boxes based on what a user is doing within the system at a given time. All of these elements, especially real-time responses, can be used to create a very robust, gamified experience for users. Based on the Gartner Hype Cycle, we are in prime position to see gamification emerge as a huge differentiator for user experience and learning management. With gaming growing at an alarming rate, it would be a miss not to leverage these tools for increased engagement and productivity at your organization. Companies offering an expanded, gamified experience for their customers and employees will see a benefit when implementing with care. If you think you’re ready to grow your business by investing in gaming, schedule your Salesforce Lightning Assessment today. See if the features and customizations you’ve implemented in Salesforce Classic are ready for migration to Lightning. Josh is a certified Salesforce Administrator and Consultant at Statera. With five years of CRM administration and consultation experience across multiple verticals and different sizes of businesses he understands the headaches that plague users and administrators. He is currently working on advanced Salesforce certifications in an effort to better serve his clients. He is a transplant from Atlanta, GA residing in Denver, Colorado and enjoys to hike, camp, swim, bike, exercise, and explore his new home state. He is an avid New York Football Giants fan and can often be found wearing blue and white from head to toe on Sundays in the fall. Go Big Blue!